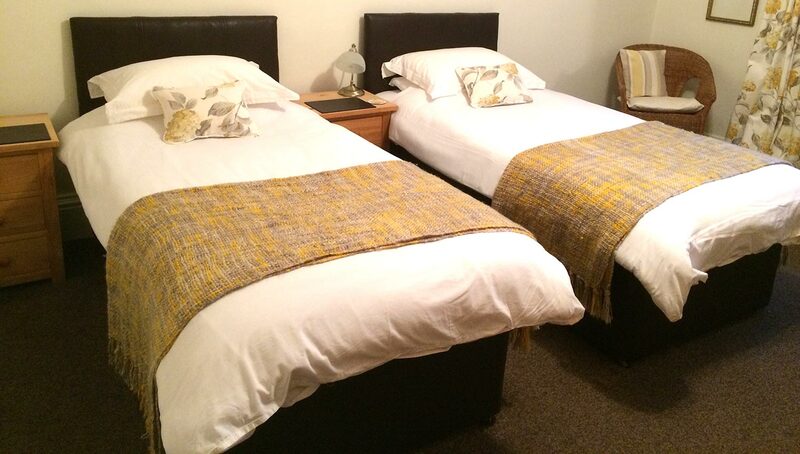 B&B and Self Catering accommodation on the West Highland Way, Tyndrum. Our Self Catering Lodge in Tyndrum. 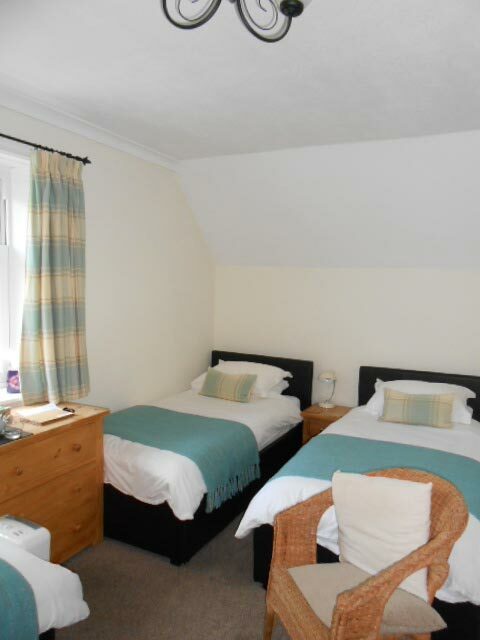 We have three guest rooms in the house, all of which are comfortable and homely. 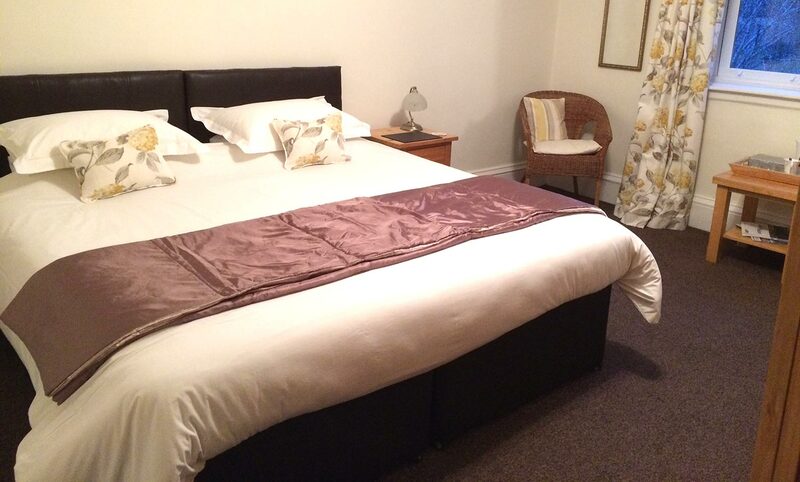 All rooms have alarm clocks, Flatscreen TV’s with FreeSat, hairdryers and fair-trade tea, coffee and hot chocolate. The whole house also has Wi-Fi internet access. 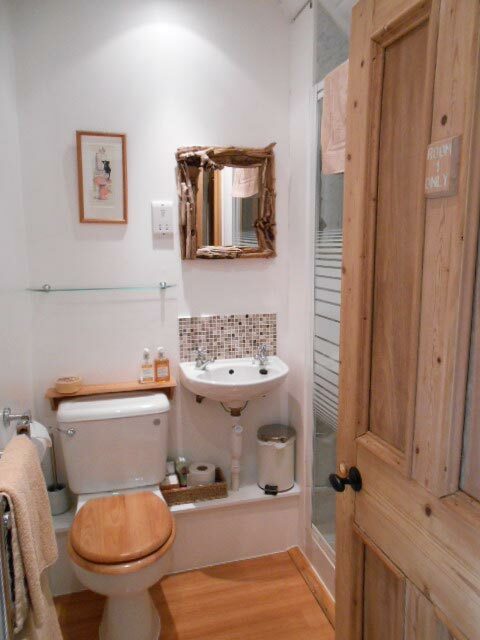 Room 1: Double/Twin with private shower. 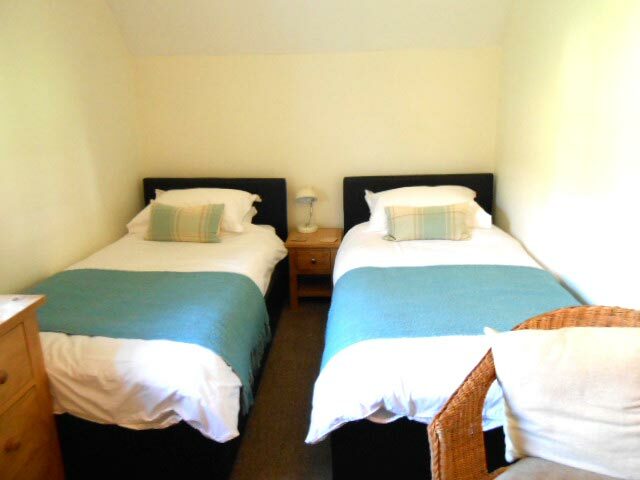 This is a cosy room with views to the North that can be made up as a superking sized or two single beds. The shower room is situated just across the hall and is used exclusively by this room (bath robes are provided to spare your dignity). Room 2: Triple room with en-suite. This room is situated at the back of the house with open views of the garden and usually some chickens! Three full sized single beds make it perfect for friends or small family. 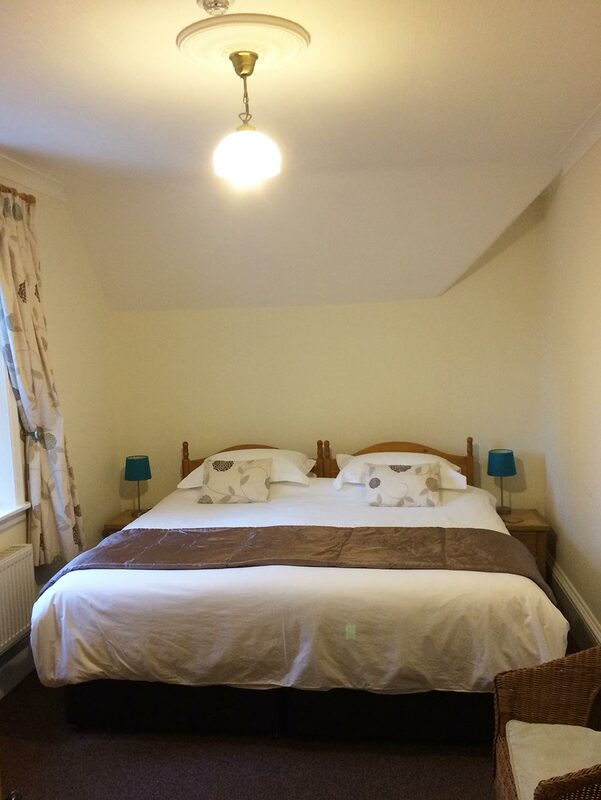 Room 3 – Double/Twin room with en-suite. 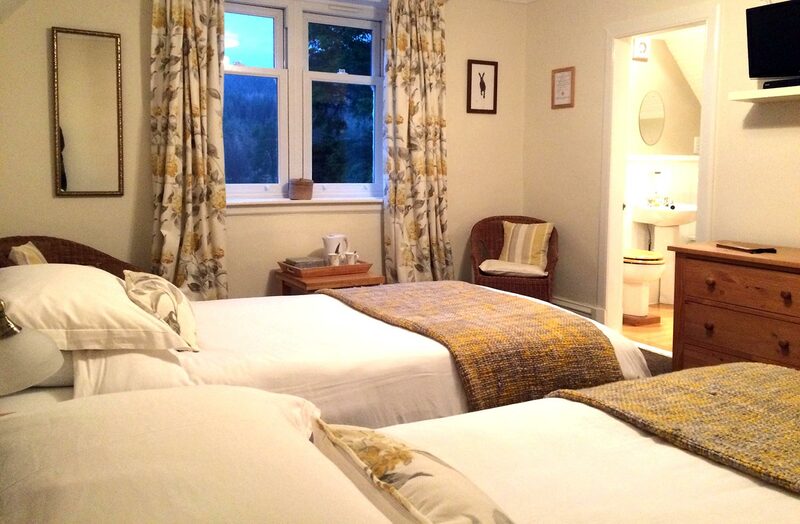 This is a lovely room at the front of the house with fantastic views of Ben Lui. It can be made up as a super-king sized or two single beds. 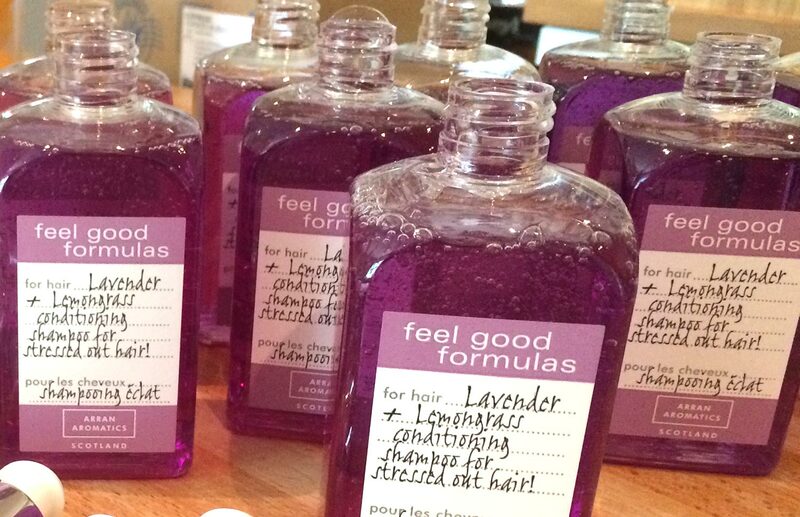 We are not licensed, but feel free to bring a bottle! We don’t charge a corkage fee and are more than happy to lend you a corkscrew and glasses.